You can use AFerry to book an FRS ferry to Spain, Gibraltar and Morocco. 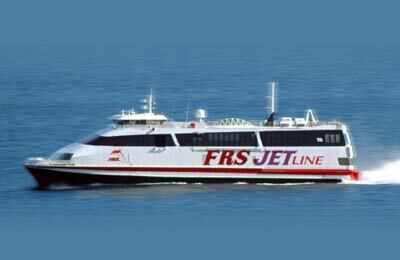 FRS boast ultra-fast ferries, bridging the gap between Europe and North Africa. AFerry always has cheap prices for FRS Ferries and the latest special offers. 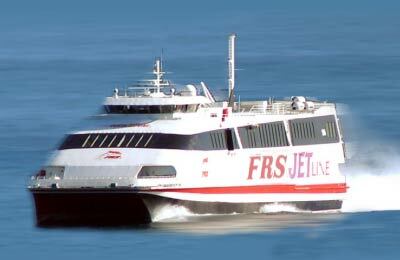 You can use AFerry to book FRS ferries to Algeciras, Tanger Med, Tanger Ville, Tarifa and Ceuta. See below for the latest FRS ferries prices and sailing times. Click on your ferry route for a detailed timetable. FRS ferries bill themselves as 'The Fastest Link to Africa' and they offer the fastest crossing on the Strait of Gibraltar with the ferry from Tarifa to Tanger (Tangier). 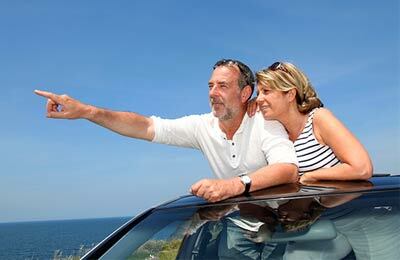 All of their fleet is extremely modern and they offer a relaxing and professional service. Their largest vessel is called the Tanger Jet II and can accommodate 900 passengers. It can hold 238 cars or 10 trucks and 150 cars. How long before departure should I arrive for FRS Ferries?